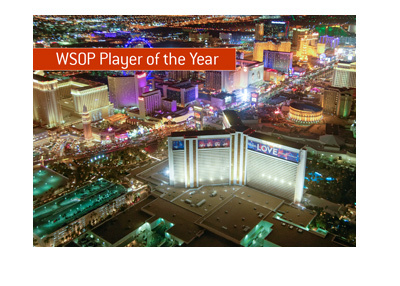 The World Series of Poker Is Right Around the Corner - Have You Made Your Plans Yet? 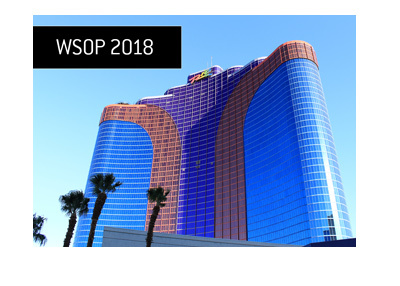 The 2008 World Series of Poker is just around the corner and will be here before you know it. It seems like just yesterday Jerry Yang was taking down the main event. Well, we are now just over 3 1/2 months away from the start of the big event. The first event, the $10k Pot Limit Hold'em World Championship, starts on May 30th. 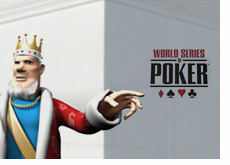 The World Series of Poker main event runs until mid July. If you are planning on staying throughout the entire event, as many do, you need to start getting organized now. If you wait until the last second, you'll probably end up either paying through the nose or living with people that you couldn't spend a day with, let alone an entire summer. 1. Book now. Don't delay. 2. If you are going to stay in a hotel room, then do your research. Don't pay through the nose by staying at the Bellagio for two months, but don't go and book the cheapest hotel room that you can find either. You'll regret it. There are plenty of rooms to be had for a reasonable price in a comfortable hotel, you just have to look around a bit. 3. Sharing a house is usually a better solution than staying in a hotel room all summer. You'll be wishing that you had gotten a house for the summer after just a couple of weeks in a hotel room. 4. With the housing market in a slump, many home and condo owners are thankful to have any kind of revenue coming in on their properties, so you should be able to find a strong deal if you look around. 5. Make sure that any accomodations that you stay in have Internet available (some don't, such as the Budget suites). 6. Think of the long-term. Things like a pool and a big backyard will cost you a little more per month, but you will be thankful you have them as the summer wears on. 7. Accessibility. If you live somewhat close to Vegas you'll want to drive your car down instead of flying. You don't want to have to bum a ride or rent a car all summer. 8. Internet considerations. This applies to people who are planning on sharing a house with a bunch of other poker players. Are you a hard-core Sit and Go player? Is anyone else from the house the same, playing at the same stakes? What about cash game players? You will have issues playing from the same IP address. That's something to keep in mind. 9. Food. If you and your four friends are renting a big house for the summer, you need to consider how you are going to feed yourselves. If you eat junk food every day, you are going to start feeling like crap and your game will suffer. Consider hiring a personal chef for the summer for the house. A personal chef is not all that much in the Vegas area - on average, $15-$20 per meal per person (obviously depending on the chef, could be higher). This includes the costs of shopping and preparing the meals. It's not a bad option to consider - if you eat out every meal in Vegas, you are going to be paying at least that much, and you'll get meals tailored to your own demands with a personal chef. 10. Do as much research on your intended accomodations as you can. Is it clean? If you don't like the plan, how much $ are you on the hook for? Is there any construction in the area that you should be made aware of? Do your research. Be thorough. Ask questions. You don't want to get stuck in a dirty house with an unkept pool with loud constructions going on nearby. 11. How about your housemates? Do you personally know them? Are they trustworthy? Try to stick with people that you personally know. You don't want to be stuck with some person that you don't really know who turns out to be a huge headache all summer. 12. Significant others. Enact a strict "no girlfriends allowed to stay for more than a weekend" policy. The last thing you want is someone's girlfriend living at your house for the summer, especially if they don't get along with the other people in the house. If you really want to stay with your girlfriend/boyfriend for the summer, then get your own pad. Just a few things that you should keep in mind. If you are booking a house under your name, make sure that you get the money up front from your other housemates. 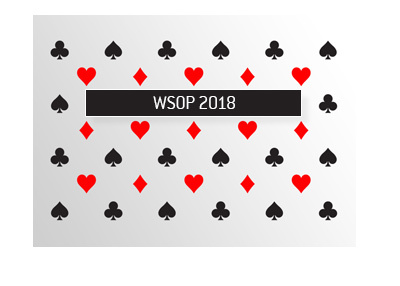 The last thing you want to do is be chasing down money after the WSOP has ended. The bottom line is - do your research and start planning now. Don't be the guy that arrives at the World Series of Poker for a month and a half with no accomodations and ends up staying at some dive hotel for $30 a night. You'll regret it.